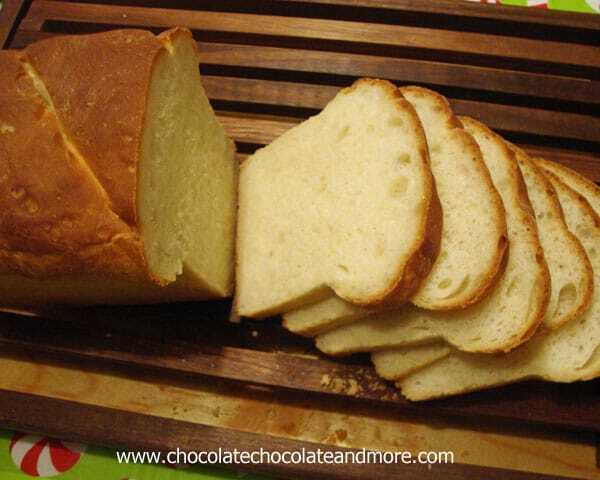 White Bread-simple and tasty - Chocolate Chocolate and More! 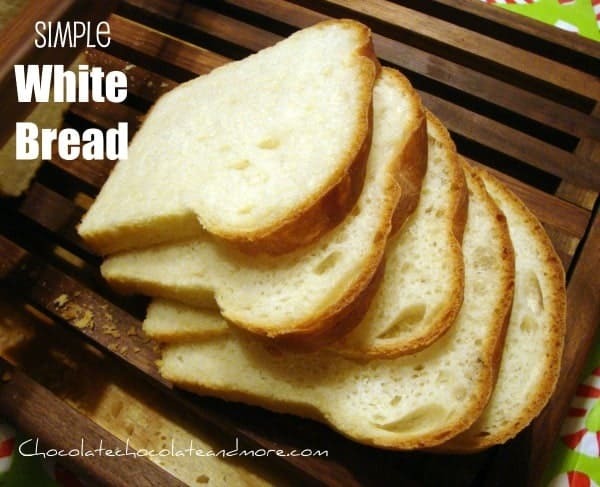 This is a great bread for beginners. 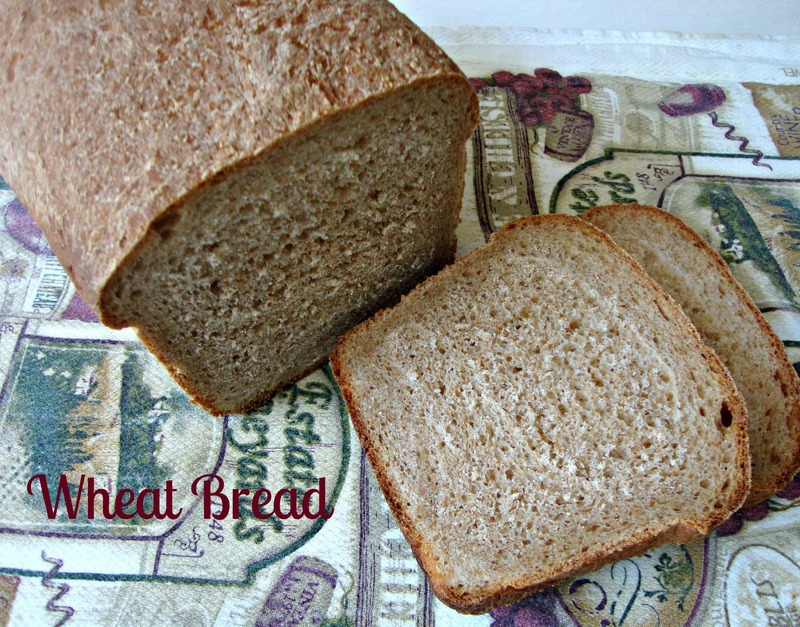 It’s one of the first bread recipes I learned when I got serious about wanting to make bread. And you don’t need special flour, or any odd ingredients. And once you’ve made it a few times, you can change it up. And that means leftovers that the kids and hubby can go back and snack on. I found this recipe a few years back here. Thank you Elizabeth Yetter for sharing with the rest of us! In your Mixing bowl, combine warm water and yeast. stir until yeast is dissolved. Add salt, sugar, shortening and milk, stir just till combined. The shortening will still be lumpy. Add first 2 cups of flour, combine well, then slowly add enough of the 3rd cup until the dough starts to chase the beater, pulling away from the sides of the bowl. Remove dough from bowl onto floured surface. Knead dough until no longer sticky, 5-10 minutes. Place in a greased bowl and turn dough over to completely coat dough. Cover with a light dish towel and allow to rise until doubled, about an hour. Punch down dough with fist, then remove from bowl onto a floured surface, knead again, 3-5 minutes, then shape dough and place in greased loaf pan. Cover and let rise again for another 30 minutes. Preheat oven to 375 degrees. 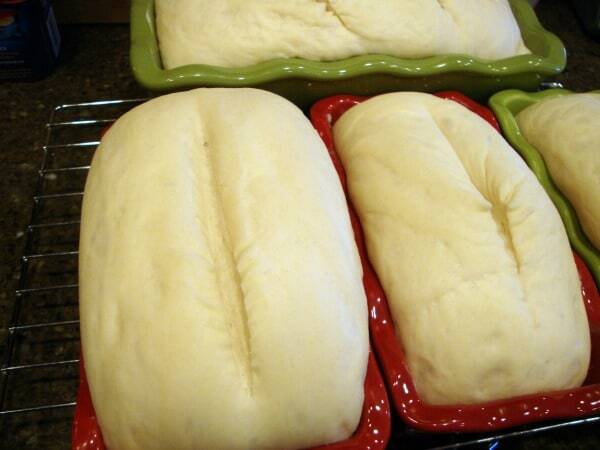 Just prior to baking, using a sharp knife cut 1, 2 or 3 slits in the top of your loaf. Bake for 25-35 minutes depending on your oven. My smaller loaves are usually done at about 25 minutes while my larger ones are closer to the 35 minute mark. You are looking for a dark caramel color but not burnt looking. And just a quick plug for this bread knife. It’s a Smoky Mountain Bow Knife, given to me this Christmas after my mom and I saw it at Christmas Made in the South in Macon, GA.
I’m in LOVE with this knife. The man who makes these is Harold Collins and unfortunately he doesn’t have a web site, just a phone number 256-504-1310. If you come across him at a craft show in your area, get one of these knives, you won’t be disappointed. Wow.. looks absolutely perfect.. thanks for the wonderful recipe !! There isn’t much better than fresh, home-baked bread. I could live on that alone for days. Can anything be substituted for the shortening? Also, could I make the dough in the bread machine and then bake in the oven? That’s my preferred approach, but I’m always looking for a better recipe. Thanks! Sherry, you can easily substitute butter or margarine for the shortening, we did it with butter last night and was wonderful, even a bit lighter (fluffier) in the center. As for the bread machine, you would have to read your directions from the manufacturer but I’m sure you could do the first knead with the machine then turn out into the bowl to rise and the second (quick) knead and shape by hand. Make sure your yeast is dissolved in the warm water before adding the rest of the ingredients, you want to give it a chance to start working. Looks good…Found you at Crazy for Crust party….Just joined your lovely site! 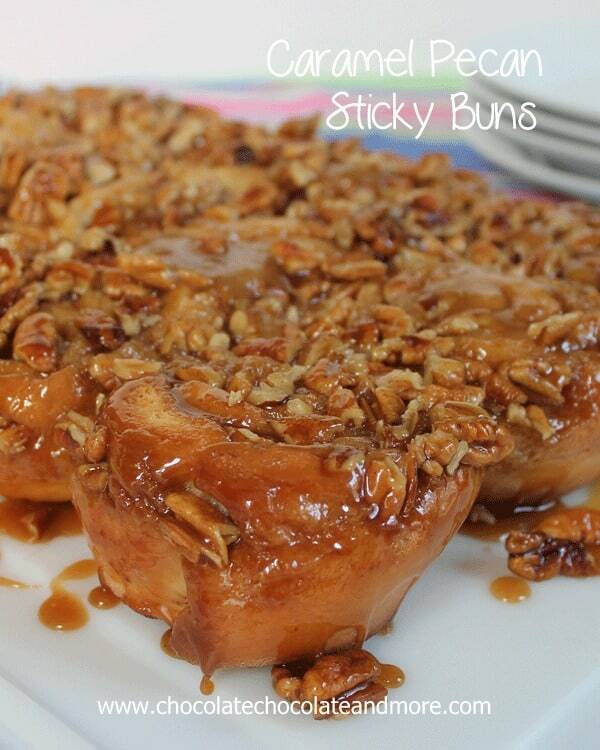 Yum…I can see it now slathered in butter and cinnamon sugar… 🙂 Thanks for sharing on Crazy Sweet Tuesday! I am pinning this one, Joan. I have been talking about making my own bread for a while now and just haven’t gotten around to it. I am adding “Making my own bread” to my ever growing list of New Year’s Resolutions and I am using you as the motivation. Thank you! Beautiful! I absolutely LOVE this! 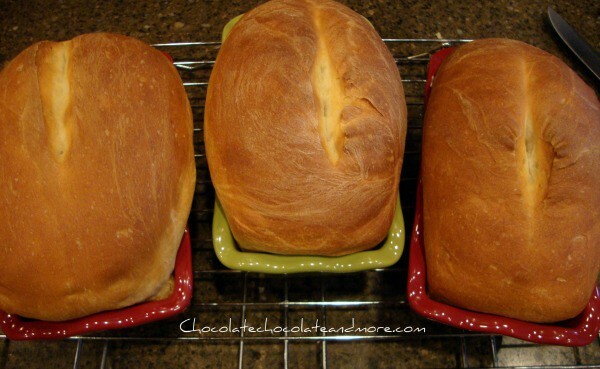 The pictures make it super easy to follow the recipe…I think loaves of homemade bread are in our future! 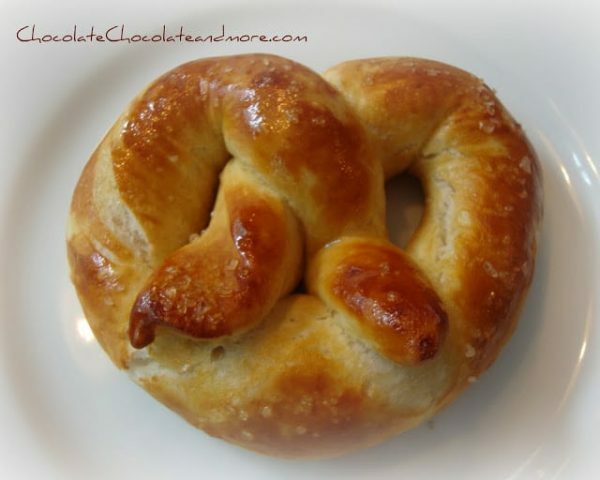 Thanks for linking up on http://www.recipesformyboys.com/p/thursdays-treasures.html My Sweet Friend! <3 and hUgs! I love your blog and I am so glad I decided to stop by… Your pictures are really nice and the recipes very easy to follow… You can bet I will be back more often! Following you now on Facebook and on Google Friend Connect 🙂 I intend to try your bread recipe…I bake a lot of bread, but am still yet to find a white bread recipe that I love… maybe this is the one? 🙂 Thanks! PS – I absolutely LOVE how that knife looks and sounds… I sure hope I can get my hands on one! Your bread looks so wonderful! 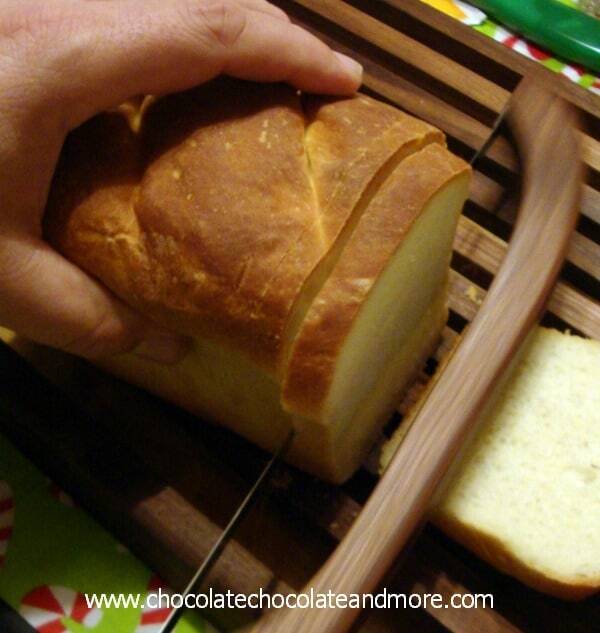 I need to return to my attempts at bread making, so I can use my bow knife more. This recipe may just be the start I need. I love your blog! You make this look so easy! I am inspired to make bread this morning. It will be perfect with the chicken salad!! Thank you for sharing on Thursday’s Treasures Love! <3 and hUGs Sweet Friend! How much is one package of yeast? how many teaspoons or tablespoons? A package or envelope of yeast is 2 1/4 teaspoons. I usually buy my yeast in the jar. Saves money in the long run! I love my bow knife too….had it for years and it also makes for a reasonably priced gift. They come in left handed versions as well.